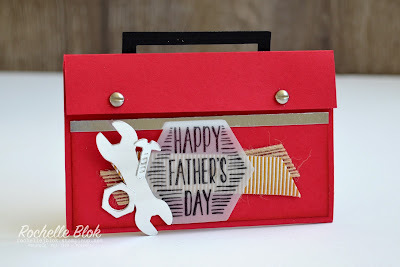 Welcome to another Stamp Review Crew Blog Hop using the fabulous Nailed It stamp set. I've gone with a bit of a feminine feel to my card today. 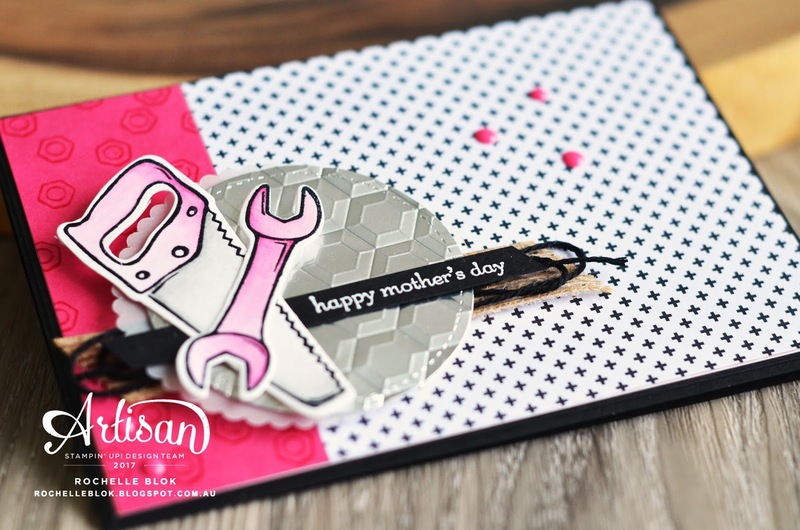 With Mother's Day coming up I've been seeing around some of the stores the pink themed tool sets to make them a bit more pretty for the girls. Every girl needs a set of tools and why not have them pretty looking. 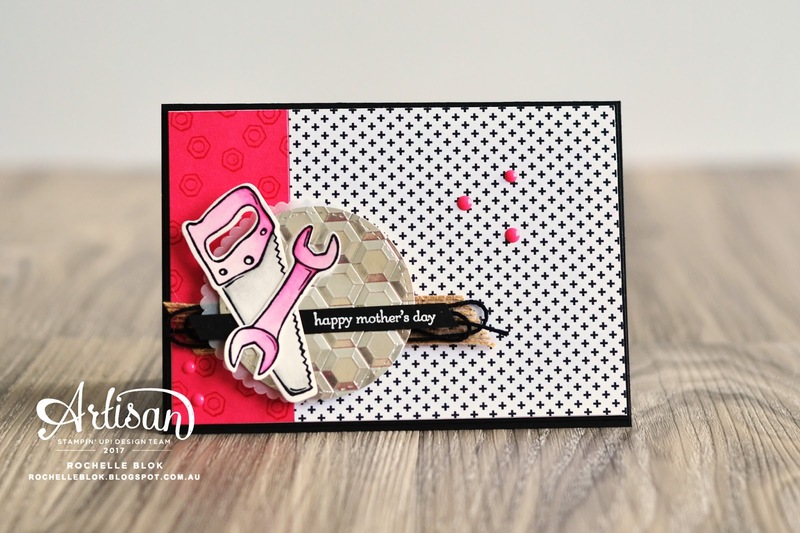 So that is where my card has gone today, a Mother's Day card with pink tools. I've used the water colour pencils to colour the tools today using the Melon Mambo and basic Grey Pencils. I find when using the pencils that I like to pick up a bit of colour straight off the pencil using an aqua painter rather than colouring the image with the pencils. Picking the colour straight off the lead works better for me but if you like to put the colour down first by colouring straight on the cardstock then that's fine too. We do what works for us. I thought I would team the pink tools up with the Pop of Pink DSP that is also on the Retiring Products list. This has been my all time favourite DSP for 2016/2017 and I am really going to miss this one.I thought I would give it one last 'hurrah' before it is gone for good. If you are quick here in Australia you can still get it but it is on the Low Inventory List. Order it today so you don't miss out! I've teamed up with the pink tools the Silver Foil Stitched Shapes circle embossed with the Hexagons Dynamic Textured Impressions Embossing folder that gives the embossing a 3-D look. 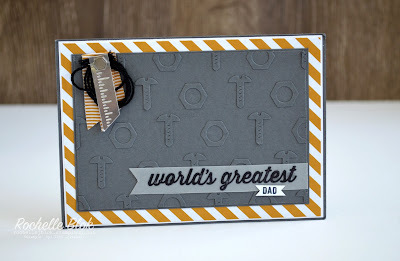 Such a fabulous embossing folder and, yay, that one is staying in the 2017/2018 Stampin' Up! Annual Catalogue. OH Yeah! 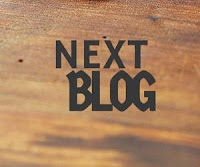 I hope that I've given you another idea to use with the Nailed Stamp set. Here in Australia if you want the Nailed It stamp set you had better be quick because you can only get it now in Wood Mount and there are only a few sets left. Now on to fellow Aussie, Bronwyn Eastley with her amazing creations. I'm sure you won't be disappointed with all her ideas. Recreate this creation at home using the following products. Click on the images below to see the product information and to shop from my online store. 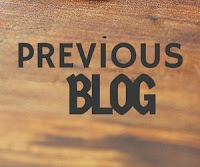 Because some of the items are on the Retiring Products List they may not be avaliable anymore. Build it Framelit Dies - No Longer Avaliable in Aust. What a spectacular card, Rochelle! The silver foil with the hexagons is incredible!! Seriously?!!! All of these cards are amazing but that pink and black card is totally rad. I love the silver embossed foil. Totally looks legit. I must try it. Haha that's awesome!!! Great card and I LOVE your spin on it. All your cards are amazing! 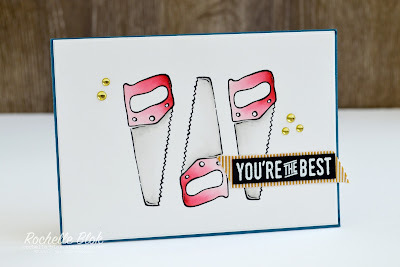 Wonderful cards, Rochelle! The pink takes the cake!! Love the Melon Mambo and Basic Black...one of my favorite color combos! All the little details really make this card! Ah, Rochelle, the pink tools are soooo cute! 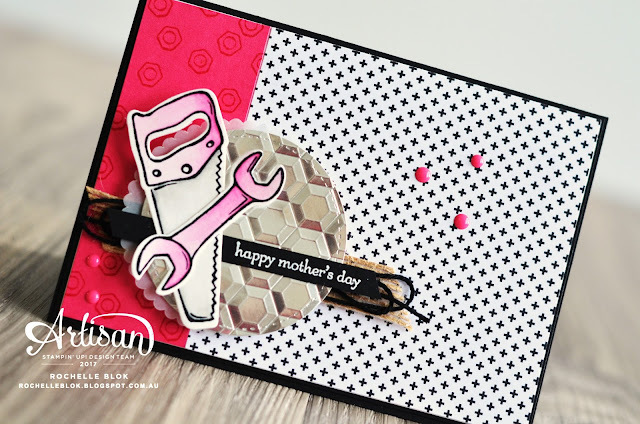 I love the idea of a do-it-yourself woman card for Mother's Day. So fun! Love all the dimension and textures. What a fun Mother's Day card. I think you "nailed it". Love your color choices. Thanks for also including other cards you have made with the set.